Hey! It's been a while. But we had some talks in Sacrament Meeting a couple weeks ago that inspired me to bear my testimony the following week, and I think it's a good idea to share part of that here. The Sacrament Meeting was all about experiences over the year that have contributed to our testimonies. A few of my experiences are very special to me, so I'm only going to share a few here. But I hope that it can somehow help you see the hand of God in your own life. I wrote in my journal before making this post, so some of this is taken directly from that entry. Let's start with the reason I started this blog: my grandmother passed away. At the time, that didn't seem like the reason I started this blog...but looking back it really was. It was easily one of the biggest defining moments in my life, and I needed someplace to express myself. I grew up very close to my grandma, and so it was very hard for me. I really struggled for the rest of the year, and I was probably even a little difficult to be around at times. Well, the day after she passed away the reality of it all hit me. I was up in my room, crying like I had been for hours, not knowing what to do. So I said a prayer asking for comfort, or guidance, or something to help me through, and the words to the song "Fix You" by Coldplay got stuck in my head. I felt like I should turn it on, so I did, and as I listen to the words I felt peace envelop me. THAT IS THE INSTANT THAT I KNEW GOD KNEW ME, AND HE LOVED ME, WITHOUT A DOUBT. It was like He was speaking to me through the song. It was exactly what I needed to hear. My cousins and I having one of many sleep-overs with my angel grandmother. If you've followed my blog in the past, you might recognize this story. I wrote about it a few years ago (and if you'd like to hear more about my testimony from that experience, you can read that post here). But what fewer people know is an event that happened a few weeks later. I don't recall the exact timeline--it could have even been a few months--but regardless, the loss of my grandma and the resultant grief was still fresh in my heart. I was on a field trip with my choir to sing in the state competition, and while we were out I started to get a pain in my chest. By the time we got back to school, it hurt to even breathe deeply and move my arms. It was a sickness brought on by stress that ended up keeping me from school for a few days until it finally went away. But before I could go home that day that it came on, before I could go cry like I so wanted to, I had to get through my Musical Theater class. I had used up my last excused absence in that class to go to my grandma's funeral, so I was stuck. I felt tears well up in my eyes as we all disbanded to rehearse our parts and I was assigned to a group to practice a musical number--something I'd been hoping against all hope that wouldn't happen. That's when my loving choir director and Musical Theater co-teacher called me into her office. She told me that she could tell something was bothering m, and I broke down. I told her that I could hardly breathe deeply, and that ever since my grandma had passed away I just didn't feel like I could be happy. She knew exactly what to say and reassured me, but also told me that it wasn't good to remain too unhappy for too long. Years later, it's a moment that we both clearly remember. I'm sure she was prompted to reach out to me. I KNOW that God truly is mindful of us all. It might seem like an insignificant experience, but it wasn't to me. God is in the details of our lives, and if we just look for Him and the blessings He gives us, we will come to recognize Him in moments like this one. I'll continue from this experience in no particular order. 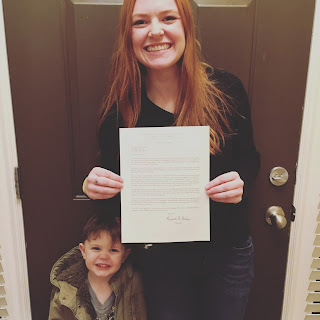 Another time that strengthened my testimony came right after I got my mission call. 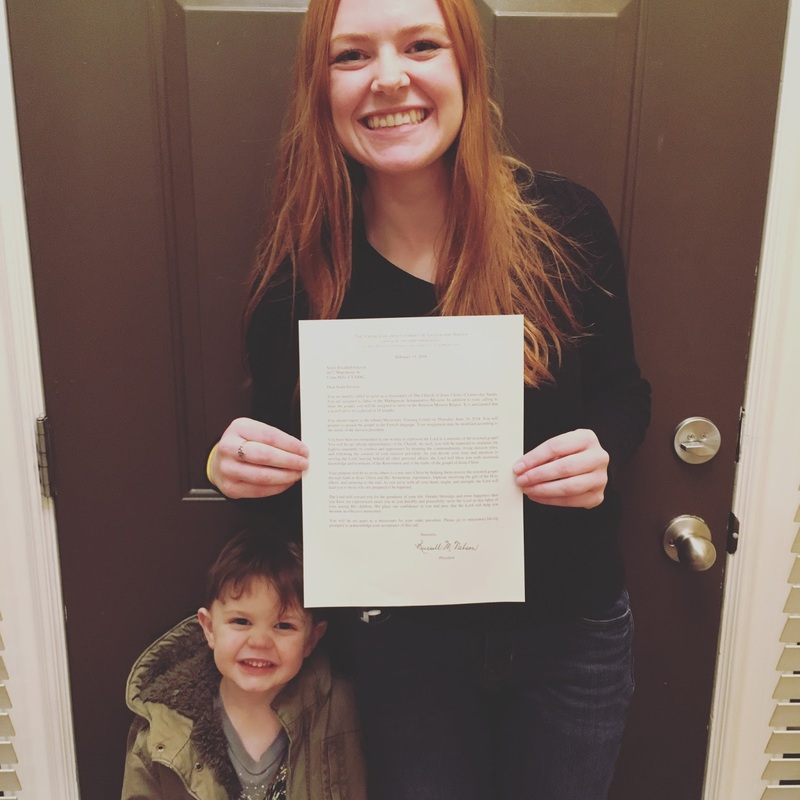 (I GOT MY MISSION CALL AHHHHHHHHH!!!!! I'm going to Madagascar Antananarivo, and I could not be more thrilled.) Well, actually I guess it started a little bit before that. Satan was attacking me relentlessly. He was trying to convince me that I wasn't worthy to serve a mission. He tried this in a number of ways, and still sometimes creeps into my mind with new ideas of how I could be unworthy to serve. I was so upset, because I really didn't think I'd done anything wrong! But I had a lot of doubts thanks to Satan, and so I set up a time to meet with my bishop--just to counsel with him and tell him what I was going through. I told him how unworthy I felt, even though I believed I'd done nothing wrong, and he simply said, "I believe you." Those three words had so much power. He helped me understand that Satan really didn't want me to serve a mission, and because he couldn't tempt me enough to get me to commit the sins that would keep me from going he was attacking my mind. I felt so reassured, and everything became clear. I was so at peace the next few days, and I felt the Spirit testify to me of the truth that I was worthy to serve. But after a few days, the doubts slowly started to trickle back. That's when I felt like I should read my patriarchal blessing, and a phrase about worthiness stuck out to me. It talked about how I understand the importance of being worthy, and suddenly this whole ordeal made so much sense to me. I couldn't fathom why Satan was attacking me in this way when I knew I was worthy, but it's because worthiness is so important to me. Satan attacks the things we love most and tries to hit us in our weakest spots, and in that moment I came to realize that truth. But the cool thing is that God can make weak things become strong unto us--our weaknesses He can turn into strengths. So I turned to God even more than I had been, and really tried to put good habits in motion in my life. Once again, I felt the Spirit confirm to me that I was worthy and that I was doing what God wanted me to do. Maybe worthiness isn't how Satan attacks you. But be aware that he goes after your weakest points (if you want proof, here's an example of another time Satan attacked me in a similar way). Understand yourself, and have a strong relationship with God. That relationship with God is the MOST IMPORTANT THING. With God, you can not fail. With God, you can overcome everything. I have so many more experiences that have led me to my testimony, but I'm just going to leave you with these two for now. My "testimony catalogue" is long and growing every day. I testify to you that God knows you! He loves you! He is mindful of you! And every experience in your life is an opportunity for Him to show you just how good the gospel is. Let Him. He will bring you the truest joy. He will make you more than you could ever make yourself.